Arizona offers motorcyclists diverse landscapes and ideal riding conditions. Unfortunately, careless drivers put riders at risk. Drivers fail to look for motorcyclists sharing the road. And since riders have little protection, accidents can result in serious and catastrophic injuries; this leads to medical bills, lost income, and a long recovery. When you’re the victim in a motorcycle accident, dealing with these consequences is difficult and confusing. With so much at stake, it’s wise to consult skilled motorcycle accident attorneys to preserve your claim and avoid common pitfalls. Tobin and Dove PLLC is here to help. We’re an Arizona personal injury law firm focused on helping motorcycle accident victims get compensated. Protecting the value of your claim requires expert guidance. Damages are to compensate motorcycle injury victims by putting them in the same position they were before the accident. Riders can receive general damages for pain, suffering and emotional trauma. They can also receive special damages for medical bills, motorcycle repair, and lost income. Motorcycle accident lawyers Timothy Tobin and Shawn Dove carefully assess motorcycle claims to ensure all damages are detailed, documented, and sought. Motorcycle wrecks can result in medical transport, hospital stays, x-rays, surgeries, medication, rehabilitation, therapy, and chiropractic care. Our motorcycle accident attorneys help negotiate medical bills and liens; we also help find medical options to minimize upfront costs and protect the value of your motorcycle injury claim. In many instances, motorcycle accidents result in severe injuries that require extended medical care and physical treatment. Our Arizona motorcycle crash attorneys account for these future costs on your motorcycle accident injury claim and work to maximize recovery on injury claims so motorcycle crash victims can afford future care. Arizona motorcycle accident victims often miss or lose work and income opportunities because of hospital stays, physical therapy, doctor’s appointments, time needed for medical recovery, or even permanent disability. Our Arizona accident injury attorneys are on your side. We calculate the total value of your present and future lost income. When your bike is totaled, insurance companies can be slow or even hesitant to get replacement funds. They investigate the accident and sometimes delay payment when liability of the accident is questioned. Even when your motorcycle is repairable, it may take considerable time and paperwork to schedule and complete the needed repairs. For our Arizona motorcycle injury victims, we seek general damages for your present and future pain and suffering as a result of the accident. This claim helps compensate Arizona motorcycle crash injury victims for mental suffering, emotional stress, physical pain, permanent scarring, limitations on activities, and reduced quality of life. Don’t trust insurance companies to act in your best interest. When you are in a motorcycle accident, consult a #1 rated Queen Creek accident lawyer. Our Arizona motorcycle injury attorneys share your same interest: maximizing your financial recovery. Contact us today to receive a friendly and free injury case consultation. 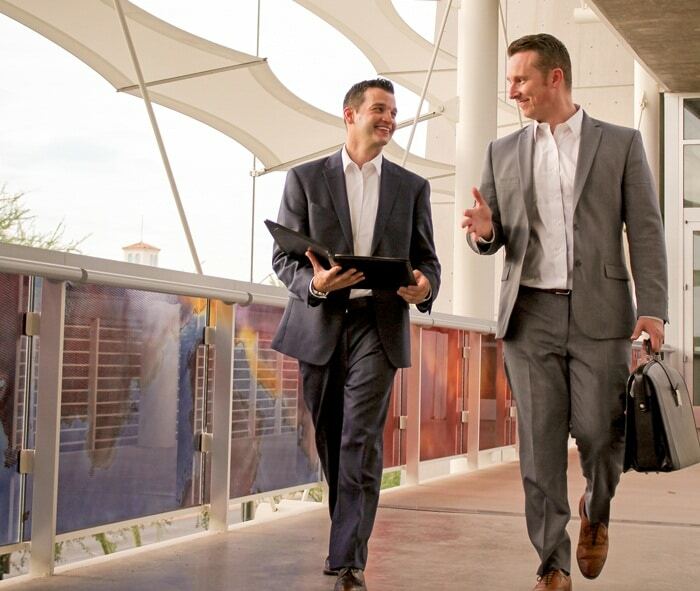 Unlike many personal injury firms in San Tan Valley, our Gilbert personal injury attorneys don’t pass off your case to paralegals and assistants. We’re not a volume-based firm. Instead, we take on a limited number of cases to effectively represent clients and provide the personal attention they deserve. 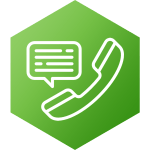 Clients experience consistent and regular communication. The Arizona motorcycle injury attorneys at Tobin and Dove PLLC have a no fee commitment: you pay nothing until you’re paid. 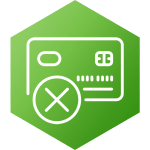 We’re only paid a fixed percentage of your financial recovery. Since there’s zero upfront cost, it’s easy to retain our dedicated and experienced motorcycle attorneys from the start. We can start your case immediately by investigating the Tempe accident injury case and aggressively pursuing compensation from insurance adjusters. 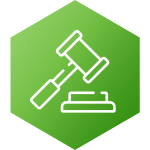 With no upfront costs or fees, consultations are a great way to explore your legal options. Arizona motorcycle lawyers, Shawn Dove and Tim Tobin, offer free and friendly consultations. There’s never a sales pitch and no commitment required. We offer compassionate advice to help you understand the claim process and preserve your Tempe AZ injury claim. After discussing time-sensitive matters on the phone, we can meet to thoroughly discuss your case. 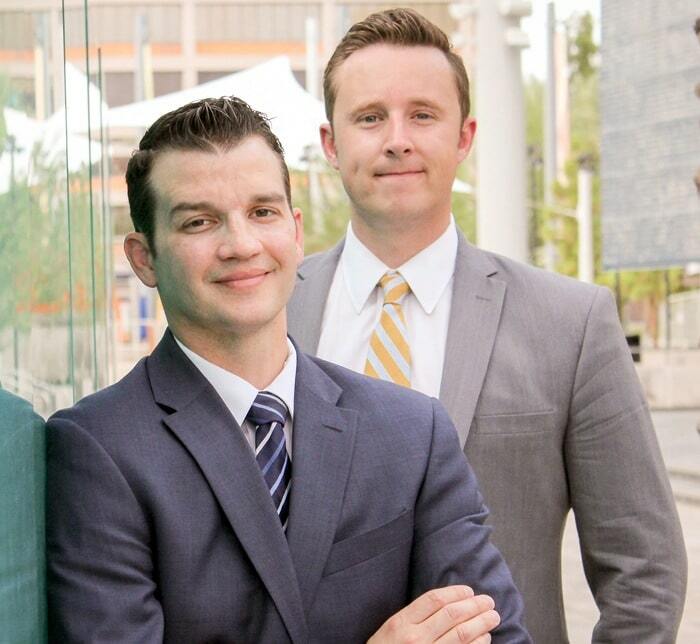 Mesa car crash attorneys Shawn Dove and Tim Tobin help Arizona motorcycle injury victims navigate through the personal injury process while seeking maximum compensation. With Tobin and Dove, the motorcycle claim process is seamless: while you focus on recovery, our San Tan Valley AZ accident attorneys do the work: we handle the paperwork, medical records, accident reports, investigations, negotiations, and litigation. Our Mesa personal injury lawyers have spent years on cases like yours. Attorneys will protect your claim, professionally process your case, and aggressively seek compensation. Insurance companies don’t share your personal and financial interests. After a motorcycle accident, insurance companies are eager to get you on the phone. They record phone calls to twist your words, question liability, and minimize your loss. Insurance companies have scripted questions designed to minimize your claim and offer less than your case is worth. Even your own motorcycle insurance can work against you. Your insurance company wants to minimize the value of your Scottsdale auto accident claim or get others to pay for it. If a driver has inadequate coverage, it leaves your motorcycle insurance on the hook. Don’t trust insurance agents and don’t speak with them until you consult a motorcycle accident attorney. Your Chandler injury attorney has the same interest as you: maximizing your financial recovery. Arizona dog attack attorneys and motorcycle accident lawyers, Tim Tobin and Shawn Dove, are familiar with insurance tactics and don’t let them take advantage of clients. We send representation letters to ensure communication goes through our office. We immediately gather evidence, investigate insurance coverage, and thoroughly document injuries and losses. There’s little to protect motorcyclists from bad drivers. The National Highway Traffic and Safety Administration warns that motorcyclist fatalities are 29 times more likely compared to car occupants. This is due to a rider’s lack of protection. Motorcycle accidents are generally the product of human error, negligence, and reckless driving. Many accidents are from drivers not noticing motorcycles before changing lanes or entering traffic. Here are some of the more common causes of motorcycle accidents. With little protection from the elements, motorcycle injuries are often serious. 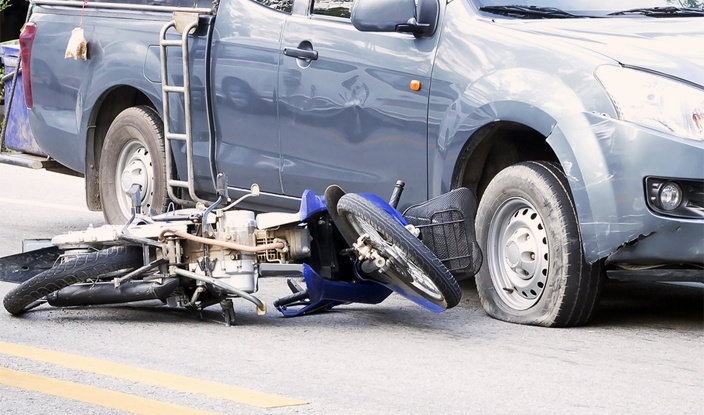 Here are common injuries encountered in motorcycle accident cases and Phoenix personal injury cases involving motorcyclists. Burn and road rash injuries are common in motorcycle accidents. The result can be anywhere from minor scrapes to flesh removal and emergency treatment. Road rash is categorized by three levels of severity. First degree is the least severe and categorized by redness or irritation to the skin. Treatment requires cleaning and application of topical medication. 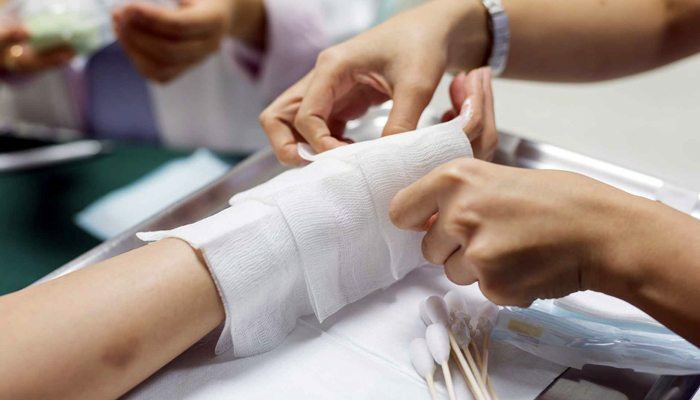 Second degree is a breaking of the skin and requiring stitches or bandages. Third degree is when skin is stripped away exposing fat and muscle. Treatment can involve skin grafts and reconstructive surgery. 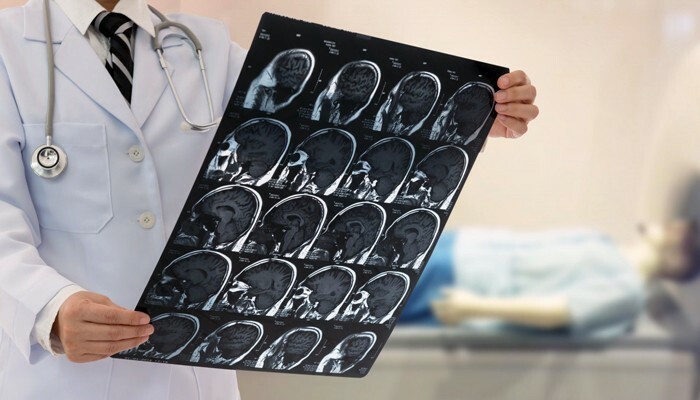 Motorcycle accidents can result in traumatic brain injuries (TBI). TBI’s are caused by blunt head trauma. They’re difficult to treat in the emergency room due to the complexities of the human brain and blood vessels that support oxygen supply. When a sudden jolt or blow to the head occurs, the brain can swell posing a threat of impairment or death. Lack of continuous blood flow to any part of the brain can result in brain damage and severe motor function impairment. Pressure inside the cranium is the major cause of death to Chandler accident victims. Motorcycle wrecks often lead to high velocity impact and broken bones. The most common motorcycle fractures are to the skull, forearm, shinbone, femur and pelvis. Fractures take varying degrees of time and treatment to heal and can require months of immobility, physical therapy, or require surgery, while others only need a cast, brace, or splint. Whiplash is any neck or back strain caused by the head snapping forwards and backwards; this type of injury is common in motorcycle accidents. Symptoms of whiplash include soreness, pain, and stiffness in the neck or back. Chiropractic treatment, physical therapy, and neck or back braces can help alleviate symptoms for whiplash injuries. Many parts of the spine can be damaged in a motorcycle accident. 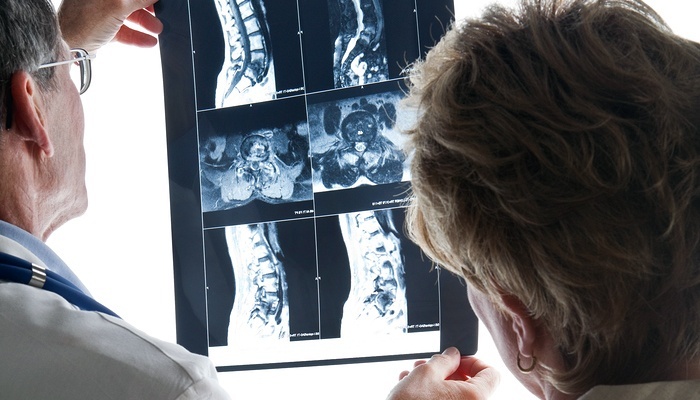 Spinal injuries range from simple whiplash to quadriplegia. When the spine is damaged, it can cause a break in the communication between the brain and body, which causes a loss of motor function. Back damage causes inflammation and nerve damage to your back, which houses your central nervous system. Strains, sprains, fractured vertebrae, and herniated discs are common in motorcycle accidents. Because the back is central to movement, back injuries can be debilitating. When represented by the top-rated AJ injury attorneys and AJ car accident attorneys at Tobin and Dove PLLC, we do everything in our power to protect your motorcycle claim’s value and seek maximum compensation. Here are some of the things our Queen Creek personal injury lawyers do to protect and process your motorcycle injury claim. Contact insurance companies & provide information to maximize your case’s value. 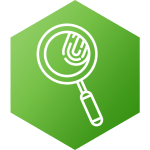 Investigate insurance policies and determine policy limits. Obtain the accident report, take witness statements, and obtain evidence. Gather information on future medical care. Assist in finding appropriate treatment and care for injuries. Organize and calculate your personal injury damages. Prepare and submit comprehensive and persuasive demand packets. Negotiate and reduce medical bills and liens with medical providers. When necessary, litigate your case through settlement or trial. Arizona motorcycle accident attorneys, Shawn Dove and Tim Tobin, are happy to explain the motorcycle claim process and answer your questions. We can meet at our office, speak over the phone, or visit you. Give us a call at 480-750-2355 or complete our online form. Our friendly receptionist will connect you with Mr. Dove or Mr. Tobin to discuss your case.